Andrea Wolfe was interviewed as part of a Culture Days press conference this week. She talks about one of her pieces of art and her book “If the Moon was a Heart“. Here is the link to the radio spot that aired today on North Country Public Radio. Earth Day craft and book signing at Chapters in St Catharines. 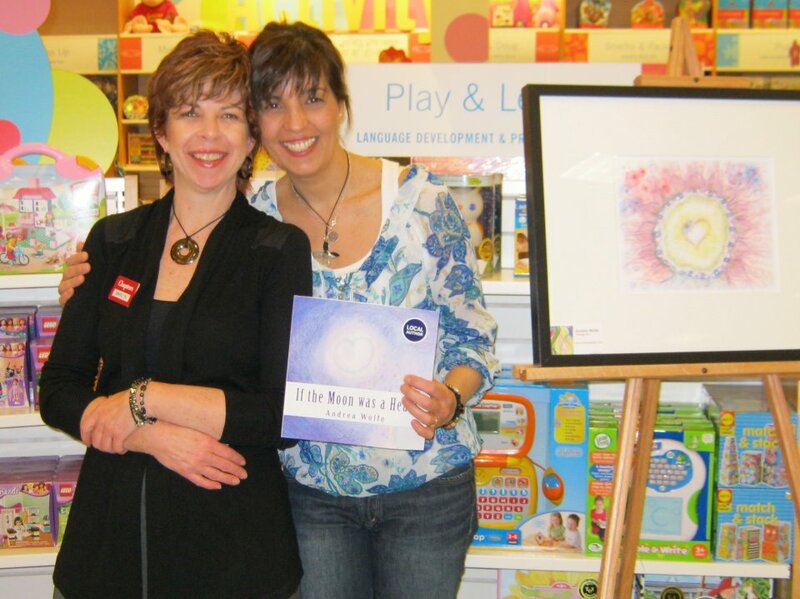 Andrea had a successful book signing event at Chapters in St Catharines last weekend. 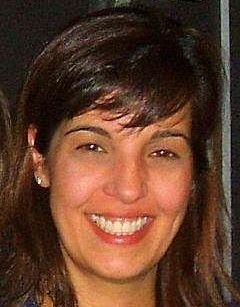 A special thanks to Customer Experience Manager, Indigo Kids, Marilyn B (a good friend of Andrea’s from Niagara) & the staff at Chapters who helped run the event. Thanks also to all the supportive family and friends who came out to the event. Lots of people stopped by to say hello and have a book signed. The kids did a great earth day craft with Andrea and got to hear Andrea read from her new book If the Moon was a Heart. 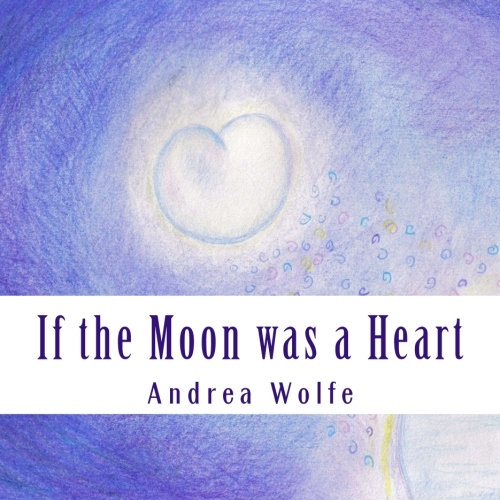 If the Moon was a Heart by Andrea Wolfe is free on Kindle until Dec 25th. If the Moon was a Heart asks the question: What is the power of Love? The inspiring story and colorful images encourage conversation and the sharing of thoughts, ideas and hope. Ages 1-100.